Until the end of the 1990s, it was believed that winegrowing was established in the Cognac region in the 3rd century AD. This theory was based on ancient texts indicating that in 92 CE, under the reign of Domitian, an imperial edict had forbidden winegrowing in Gaul and had only been revoked in 280 by Emperor Probus.However, archeological findings seem to prove the contrary. Today, scholars believe that this edict was never actually promulgated (Source: GRIS). Archeological research in the Cognac region has provided proof that the first winegrowing plantations appeared at the end of the 1st century AD (In particular, around Barbezieux and Saintes). 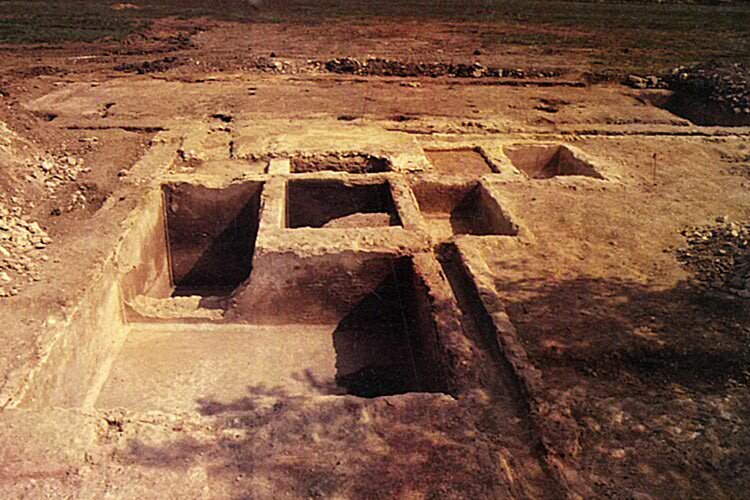 Furthermore, excavations have shown that the region boasted quite a number of agricultural buildings, in particular, ones related to winegrowing, which confirms wine production in the region as far back as the early Roman Empire. Likewise in Cognac, vestiges of the 2nd and 3rd centuries have been brought to light: a large area for treading the grapes, numerous basins for receiving the harvest and extensive storage buildings. The particularity of these buildings was that the wine was stored in barrels there, not in earthenware jars as in Southern France. Indeed, it is said that the Gauls invented barrel making. To this day, the craft remains a lively tradition in the Cognac region (source Christian Vernou).